MANILA, Philippines – Philippines wiped out Qatar’s 17-point lead and successfully defended its home turf in a rare closed-door game. With a 92-81 victory, Team Pilipinas wrapped-up the 4th window with a 3rd place finish on Monday, September 17, 2018 at the Smart Araneta Coliseum. The loss against Iran few days ago was really painful for Team Pilipinas. Despite the debacle, Coach Yeng Guiao thought that his boys played well and they just have to bounce back and post a must win against Qatar to solidify their status in the FIBA World Cup Asian Qualifiers. Prior to the game, the nationals were really worried about playing in a closed-door event as they’re used to having homes games with a humongous crowd cheering for them. Philippines felt the ill-effect of the no-crowd ambience as Qatar posted an early double-figured lead as the game was unfolded. 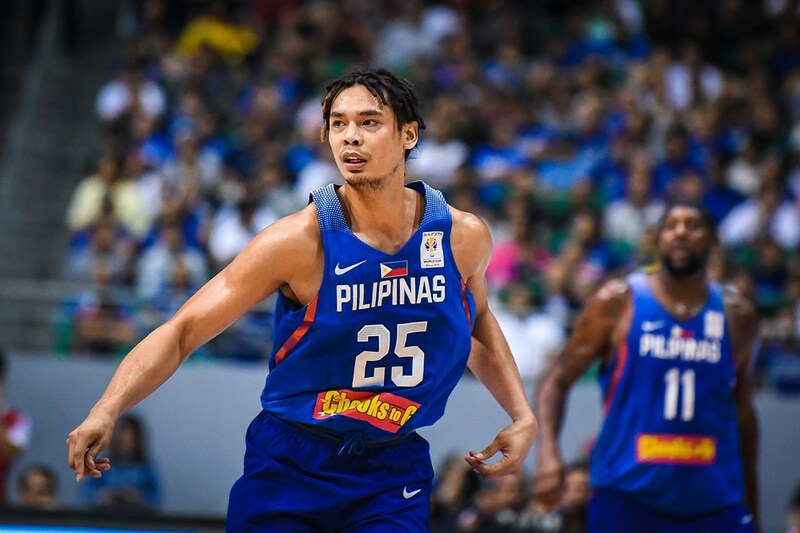 The Qataris stunned the Filipinos with a 4 consecutive three pointers that prompted Coach Guiao to insert gunner Marcio Lassiter who’s aiming to atone his low-key 4-point performance versus Iran. An 11-point lead was recorded by Qatar as they ended the opener in a 26-15 high note. Qatar really played superb in the rainbow area. In contrast, Philippines shot very poorly making just 1 out of 10 from the outside as the 2nd quarter commenced. Aside from a terrible defense that paved a way for Qatar to impose a big advantage, Philippines had a horrific shooting that even free throws were not going in. Without a legit bigman on floor where twin towers Greg Slaughter and June Mar Fajardo are both out due to injuries, Tanguy Ngombo made a living in the shaded area and manhandled JP Erram and Ian Sangalang in the rebounding department. Philippines seemed disorganized in all aspects after the 1st half and had hard time figuring out on how to decode the Qatari style of basketball. Qatar still led the host country 52-39 entering the 3rd period. Matthew Wright who just finished serving a 1-game suspension together with Japeth Aguilar helped Philippines downsized Qatar’s margin to a solo-digit as the 2nd half started. Along with Wright, Big Beau Belga surprisingly became Philippines’ top scorer in the first three quarters at least and the first Filipino player to get into double-digits. At the 3:12 of the third, Qatar’s once 17-point advantage had gone to waste as Team Pilipinas regained the lead 59-58. 2 unsportsmanlike fouls committed by Qatar aidedd Philippines sealed the penultimate quarter with a 67-64 edge. Dissecting Philippines’ 3rd quarter roll, the intensity in the defensive end made the huge difference and the staple in its comeback where the Filipinos blanked the Qataris in the three point area. Philippines finally got its rhythm as they managed to flip the coin and turn the tides in its side by jotting down an 11-point lead with over 5 minutes left in the game. Japeth Aguilar’s reactivation on the roster became a huge boost in Team Pilipinas’ scoring run in the the 2nd half. His size and agility slowed down Qatar’s big men as the lanky Ginebra forward intimidated them by attempting to swat their shots from the inside. Coach Yeng Guiao instructed his squad to melt the clock down while holding on to a decent amount of lead until the last buzzer sounded where Team Pilipinas completed a comeback and won over Qatar, 92-81. Alex Cabagnot and Japeth Aguilar led their team with 16 markers apiece and placed Philippines at the 3rd spot behind Iran and Australia. Team Pilipinas will face Kazakhstan next on November 30 and Iran on December 5 here in Manila to open up the 5th window of the tournament. QATAR 81-Mohmmed 26, Ngombo 17, Al-Raye 17, Khalid 10, Mohamed 4, Gueye 3, Abdelbaset 3, Abdelhaleem 1, Lashin 0, Avdic 0.